Find information you need to develop high level research skills for undertaking research in the field of education, including Master of Teaching Practice, Master by Research and PHD levels. This tool is designed to guide you through your research project. First, think about what stage you're at in your research. If you've already gotten started, click on the stage below that best describes where you are. If you're just starting out, it might be helpful to read more about why we do research before getting started. The Library has created online tutorials, videos and information pages to help you find the resources you need for your assignments. The Library provides a service called Drop in for Study help where you can access a range of free learning and study advice. online, using the Ask the Library chat and email service. We provide a wide range of resources and services to help you with your research projects. Beginning your research: Search Library resources for information on your research topic and access training sessions and tutorials to develop your research skills. Managing your research: Manage your research data and organise your references and documents as you search. Ensure you remain current with new research throughout your project. Publishing your research: Access tools to help you decide where to publish your research. Seek advice on copyright issues, and help with the thesis process. Managing and measuring your research impact: Manage your research profile, showcase your research through the RMIT Research Repository and track the impact of your research over time. It's Time to Publish, But Where? Looking for some information on where to publish? 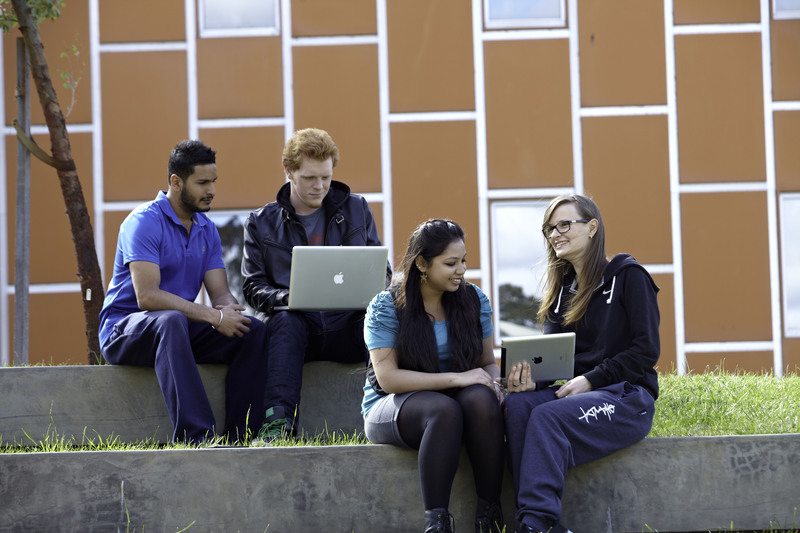 The University of Otago has developed this app to help you. 1. Submitted version - The author's original version that was first submitted for to a publisher for publication. ​2​. ​Accepted ​manuscript - ​Also known as the post-print or author final draft, the accepted manuscript is ​author-created​, ​​incorporates referee comments and is the version accepted ​for publication.​ Accepted manuscripts typically do not have any publisher logos or branding, page numbers, incorporate any publisher copy editing and copyright dates or statements. Where do repository records come from? Up until December 2015, the RMIT Research Repository sourced records from those that were reported and verified for both the Higher Education Research Data Collection (HERDC) and the Excellence in Research Australia (ERA). As the collection of research publications data for HERDC was discontinued at the end of 2015, records will only be sourced from those reported and verified for ERA from January 2016 onwards. When RMIT University affiliated authors report publications for these two schemes, Research Office staff (based in the Research and Innovation Portfolio) create records for them in the Research Master database. Research Office staff then verify them against ERA criteria and when passed, they are tagged for inclusion in the RMIT Research Repository. Once a week, repository staff (based in the RMIT University Library) run a software program to target the tagged records and create records for them in the repository. To ensure your publication records are included in the RMIT Research Repository, report them for inclusion in the ERA scheme at the web page below. From referencing to conducting a literature review or writing an annotated bibliography we have an excellent array of resources designed to help you. For one-to-one assistance visit a study support Drop-in Library site, or get help online via the Learning Lab. We also run workshops to help you prepare for postgraduate coursework. Find out more. You can access all the above resources as well as some additional ones below. Book into the On-track workshop series. There is a huge range of topics such as ‘What is a thesis?’, ‘Writing your literature review’ and ‘Editing and proofreading’. Join a facilitated research writing group where you can develop and share your own and others’ writing. Book an appointment with an experienced postgraduate learning advisor. School of Graduate Research also offers some training and development. ETS creates assessments based on rigorous research and develops, administers and scores more than 50 million tests annually — including the TOEFL® and TOEIC® tests, the GRE® General and Subject Tests and The Praxis Series™ assessments — in more than 180 countries, at more than 9,000 locations worldwide. In addition to assessments, ETS conducts educational research, analysis and policy studies and develops a variety of customized services and products for teacher certification, English language learning and elementary, secondary and postsecondary education. Emerald group publishing produces 'How to... guides' for researchers. Whatever your discipline, managing the day-to-day aspects of your research is a challenge. Get practical advice, tips and strategies to help secure the resources and develop the skills you need to manage your research project more effectively. SAGE Research Methods Online (SRMO) is a research tool supported by a newly devised taxonomy that links content and methods terms. It provides the most comprehensive picture available today of research methods (quantitative, qualitative and mixed methods)across the social and behavioural sciences. There is one skill that has become vital in just about any modern workplace: the ability to manage and interpret information, quickly and confidently. 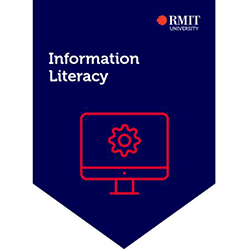 Highly valued by employers, information literacy is critical if you want to rise through the ranks – no matter what field you’re in. and properly store it so it can be referenced again later. Register for the Information Literacy credential.